Intelligent post-capture analysis of CCTV video footage. Is there a better alternative to SmartMotion? Is SmartMotion really the best app in Video category? Will SmartMotion work good on macOS 10.13.4? SmartMotion needs a review. Be the first to review this app and get the discussion started! SmartMotion needs a rating. Be the first to rate this app and get the discussion started! 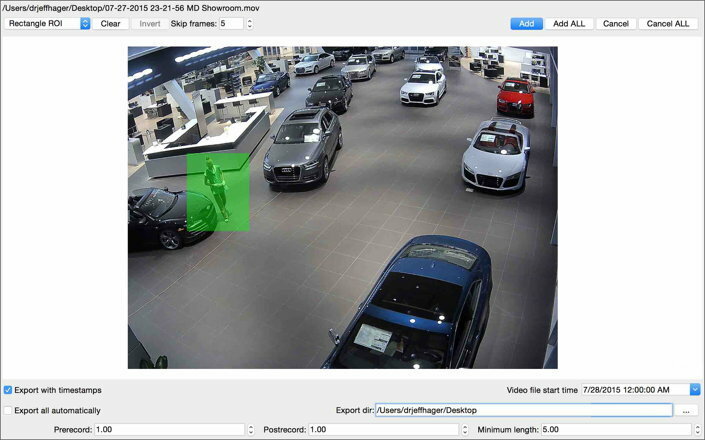 SmartMotion is video-analytics software that works in conjunction with any video security (CCTV) software, analysing captured footage to find events. SmartMotion's intelligent search routines quickly find events of interest, saving potentially thousands of dollars per year in terms of man-hours spent reviewing captured footage. Designed for office buildings, retail locations, police departments, city investigators, airports, hospitals, banks--anywhere that generates significant amounts of video footage that will need post-capture analysis after an event has taken place. Rather than spend valuable time reviewing hours of captured footage, get SmartMotion to do it in minutes.